The Energy ThinkIn was hosted in San Francisco on October 27th by frog design and the SmartGrid Consumer Collaborative (SGCC). Energy can be a large faceless commodity, making it very difficult for people to understand the correlation between the amounts of energy they consume and how that relates to their actions. To guide those looking for a better understanding of their energy use, industry experts have turned to the smart meter, the smart grid’s most visible consumer touch point. But the smart meter needs a makeover. More than 50 participants from the energy sector and beyond scheduled to attend including representatives from utility companies, the DOE, the electric vehicle industry, clean-tech startups, major IT companies, consultancies, as well as individual contractors, teachers, media and creatives. 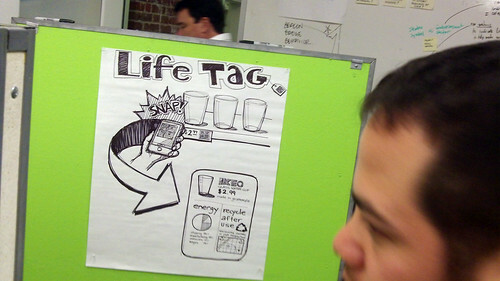 Peter Durand of Alphachimp Studio Inc. was on the scene doing live drawing to visually capture the event as it unfolded. After the large group discussion, everyone turned to face five large boards displaying the distilled themes for the breakout groups: "Make it Viral, The E in Me, Leaving a Legacy, Data to Action, and Game-Ville. The five frog facilitators turned the boards to reveal the big concepts generated for the day. 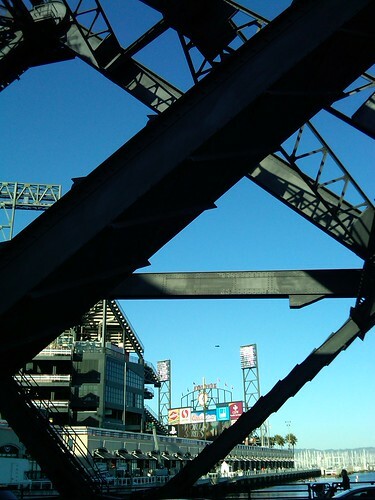 The event was doubly exciting as later that afternoon the first game of the World Series kicked off right across the street at Giants Stadium. 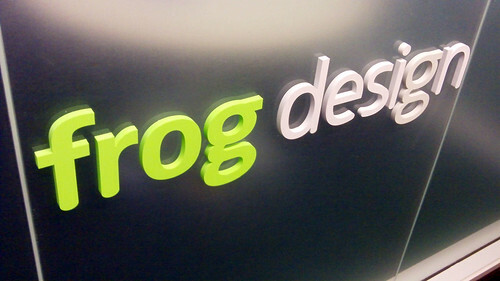 frog design is a global innovation firm working with the world's most important companies on cracking the toughest design and strategy problems. 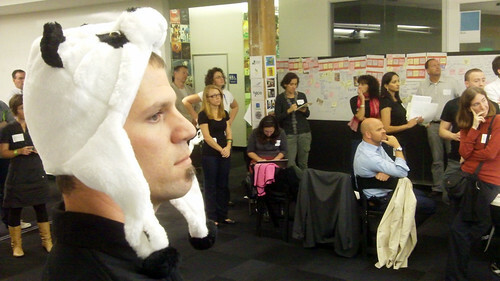 Last October, we held our Energy ThinkIn in partnership with the Smart Grid Consumer Collaborative (SGCC) which brought together leading thinkers from the energy industry and beyond to help us find an “Energy Panda.” Like the panda bear did for the WWF and environmental awareness, we were on the hunt for a symbol and a brand for the energy conscious consumer. Following the ThinkIn, we committed to shaping the concepts that emerged from the day with the goal of presenting our final work at theSGCC Symposium at DistribuTech on January 31st. Working closely with the SGCC and its members, we’ve focused our efforts aroundthree final concepts, and I wanted to share these with you along with the thinking that went into them. 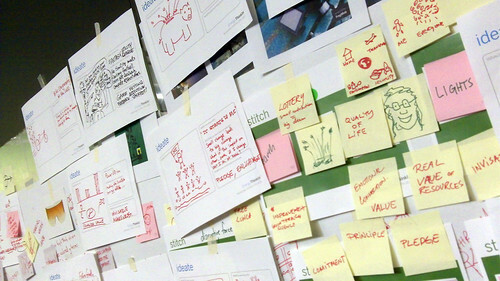 We’ve chronicled the entire process via our ThinkIn site and in case you missed it, you can also check out a video that showcases the ThinkIn itself. A special thank you to all of you who contributed ideas and participated in the Energy ThinkIn to inspire these final concepts. Beyond DistribuTech, the SGCC and its members will identify a single concept to be carried forward that will ultimately represent our efforts to actively engage consumers with the smart grid. 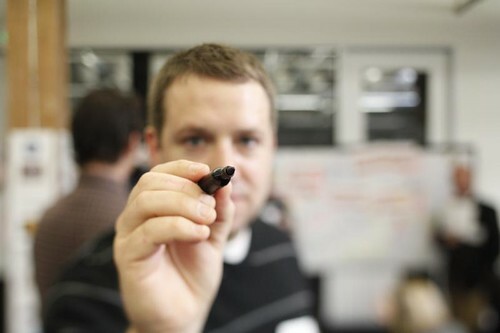 Stay tuned for next steps via our Energy ThinkIn blog and by following @frogdesign on Twitter.